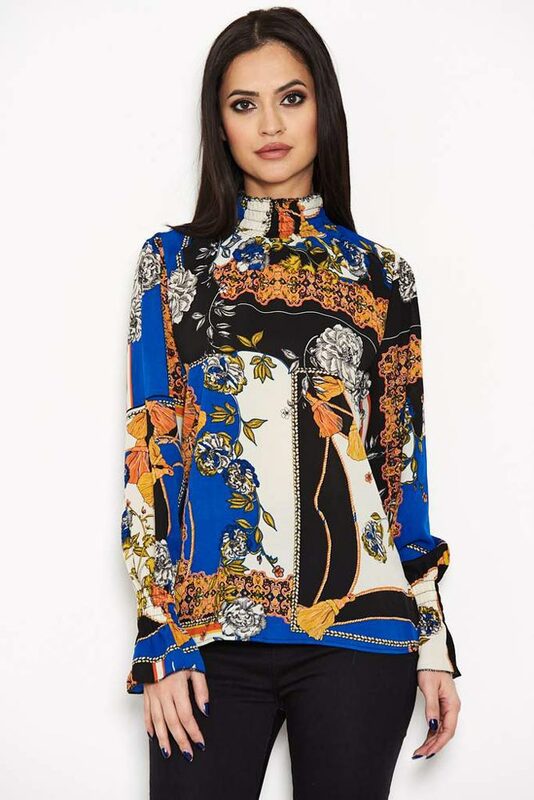 Baroque printed high neck top. A tried and tested shape that suits all figures. 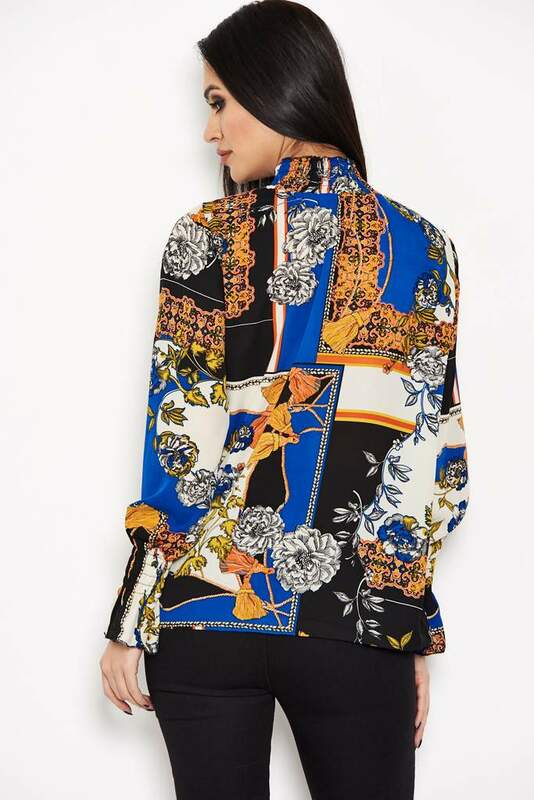 A stunning print that is will add colour to your outfit. Dress it up for a night look with leather look trousers and heels, or dress it down for day time with jeans and little ankle boots.